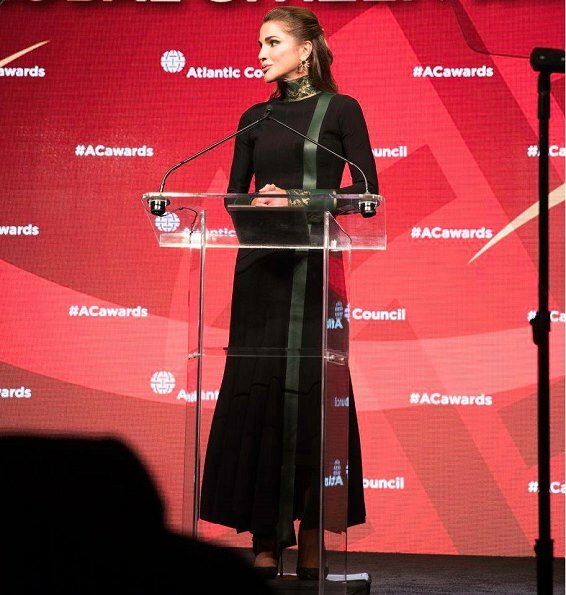 Queen Rania of Jordan visited the Jordanian Association for Human Development (JAHD) in Jerash. The Queen toured the local community bazaar and met with the Assocation’s Board to learn about its interventions and projects focused on capacity-building in the local community of Jerash. 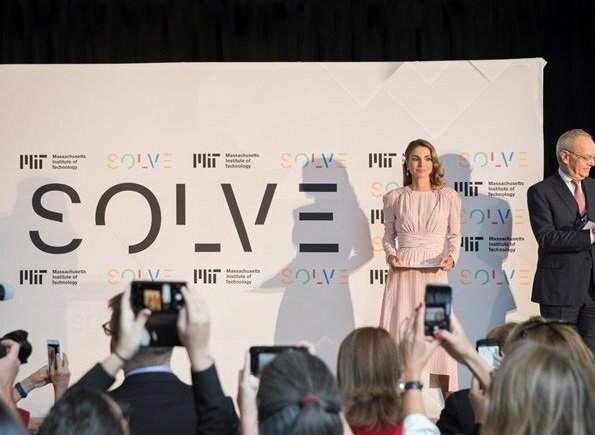 On August 22, 2017, Queen Rania of Jordan visited the office of Mawdoo3.com in Amman. The Queen met with the founders of the Arab World’s first comprehensive Arabic-language digital encyclopedia, Mohammad Jaber and Rami Qawasmi. 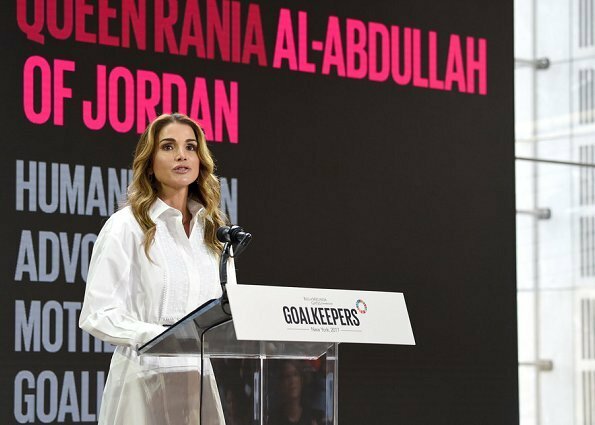 Queen Rania visited the Al Hallabat area of the Zarqa Governorate on September 11, 2017. 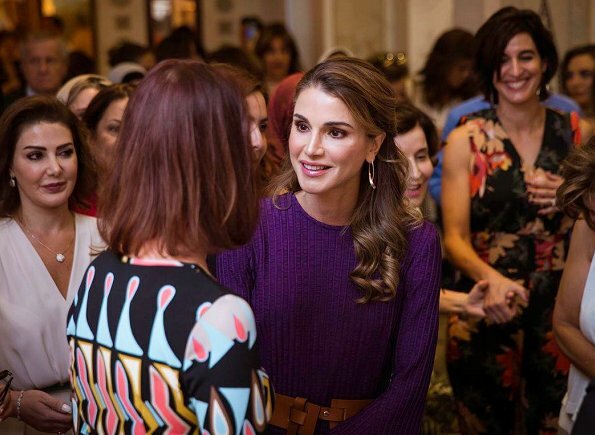 Queen Rania met with families, educators, local representatives and small business owners. Then, the Queen visited the Western Hallabat Charitable Society. 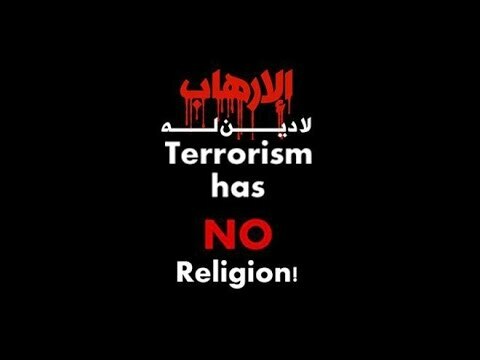 The society provides services to underprivileged families, students, women and youth. That's a great look on Rania. She had been wearing such weird clothes lately. 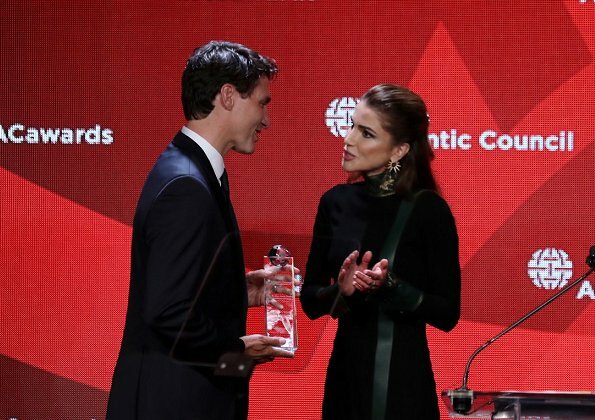 On September 20, 2017, Queen Rania of Jordan presented the Atlantic Council Global Citizen Award to Canadian Prime Minister Justin Trudeau in an award ceremony in New York City, citing his ability to transform “compassion into action” on the global refugee crisis. 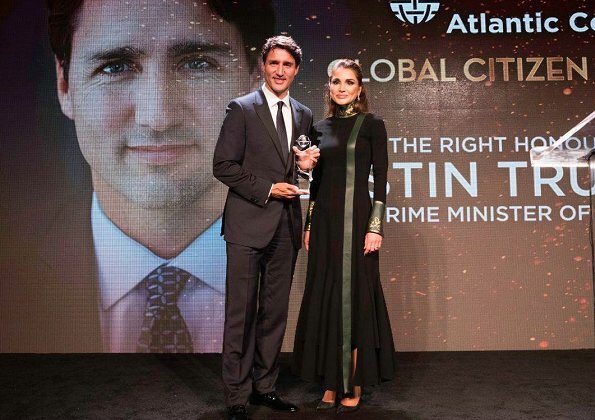 Trudeau was chosen to receive this award due to his "respect for universal freedom, diversity, and prosperity, and his promotion of open trade and open borders," according to a statement from the Atlantic Council. 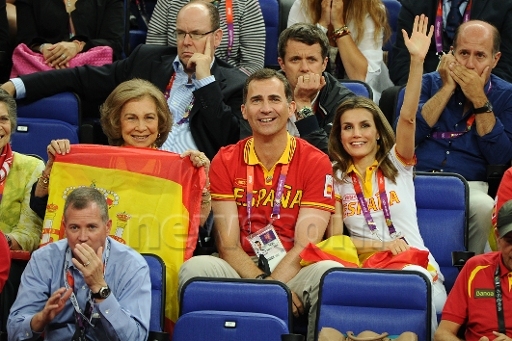 Why does the lady in the pic though her dress was flattering? 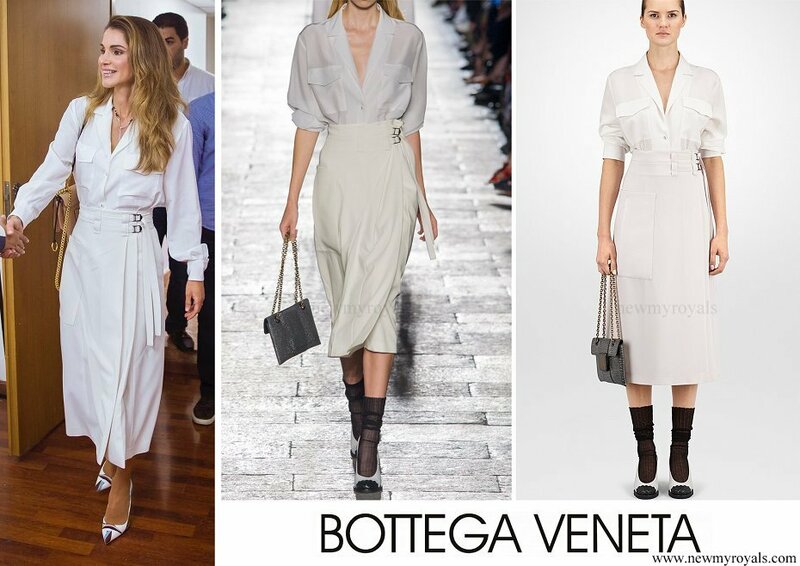 but i like what she is wearing very beautiful outfit. 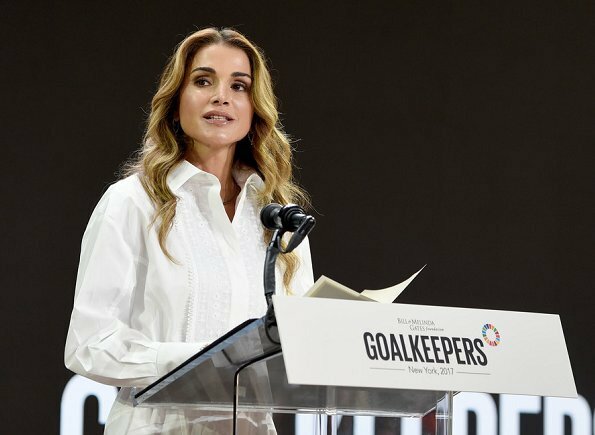 On September 20, 2017, Queen Rania of Jordan attended as a speaker to the Goalkeepers 2017 (The Global Goals 2017) event held at the Jazz at 10 Lincoln Center Plaza in New York City, United States. 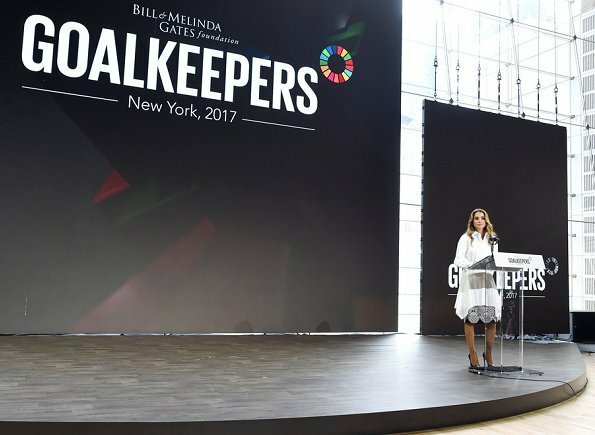 The event, hosted by The Bill and Melinda Gates Foundation, Goalkeepers 2017 convene determined thinkers to help attain the Global Goals target by revealing new data. 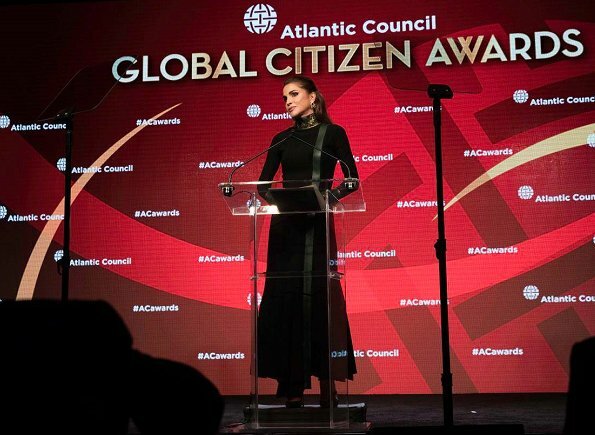 imo she could wish to be rania only if she doesn't know anything about political geography. Poor old bird, bless her cotton socks. That décolleté is something. 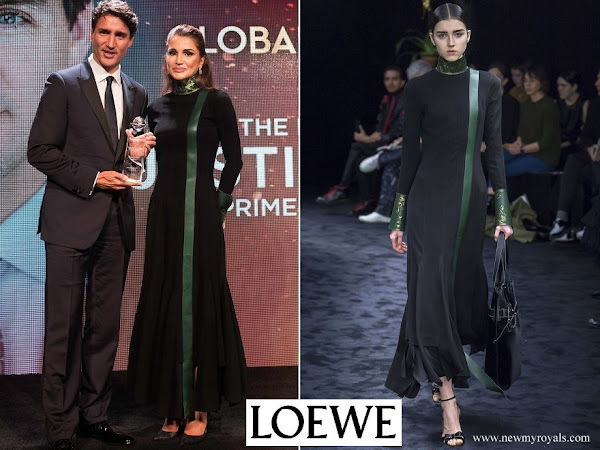 Trudeau can probably see her navel...But to be fair, the lady has indeed nice shoulders, it is the part not covered by a T-shirt that leaves to be desired.